As you all know, I love writing about Canadian shops. The main reason? A lot of the time I will browse the web, find an amazing gift idea for you guys, and then be heartbroken when the retailer has a horrendous (or non-existent) shipping policy for Canucks. Luckily more and more shops are opening up north; eliminating the need for hefty shipping fees and those pesky duty costs. Today’s retailer is a pretty unique one to boot. Fortress Geek specializes in gifts that align with ‘geek culture’. While that means famed pop culture ‘nerd’ brands like Star Trek and Star Wars are well-represented, it also taps into other beloved cult classics from Dr. Who to Game of Thrones to pretty much every superhero ever. Whether you’re shopping for a teenage boy or a fully grown adult (including the gals), you’ve really got a pretty extensive collection of geek paraphernalia at your fingertips. With that in mind, I’ve highlighted a few of my favourite gift ideas from Fortress Geek. Practical + playtime = one smart gift. 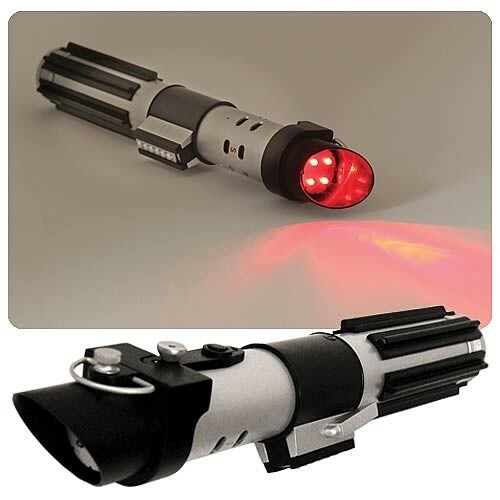 With an awesome lightsabre sound effect when you turn it on or off, this red LED-light flashlight is a great pick for kids looking to use the force when playing around or for adults looking to complete the ultimate Vader costume. Best of all, if you’re ever caught in the literal dark (and perhaps the dark side), you can flip this baby on to guide your way to safety. Or a candle. Love lightsabres? Fortress Geek also sells an Anakin Skywalker Lightsabre Umbrella. If you’re looking for a clever tee for the geekaholic in your life, Fortress Geek is the place to shop. They’ve got dozens upon dozens of tees celebrating games like Minecraft, shows like The Big Bang Theory, superheroes from every corner of the galaxy, and even cult films like The Princess Bride. 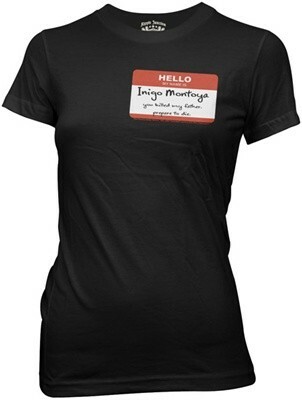 I was immediately spellbound by this humorous top that riffs on Mandy Patinkin’s legendary greeting to any six-figured man he would cross paths with. This tee, like many others on the site, are available in both men’s and women’s cuts. One of my favourite things about Fortress Geek is the affordability factor. If you’re just looking for a cute gift for a fellow geek-in-arms at work, or a stocking stuffer for your husband or kid, they’re a great resource for themed ideas that won’t empty your wallet. Case in point? 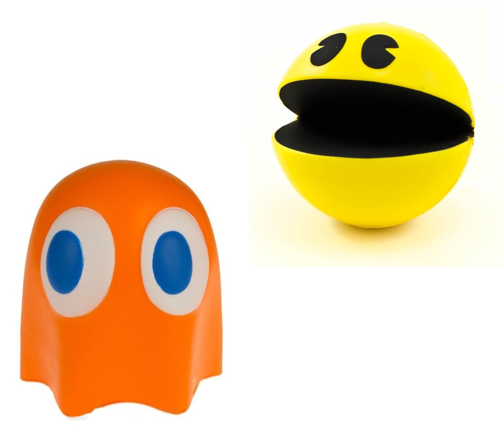 These uber cute stress relievers, in the shape of your favourite Pac-Man characters. Pop one onto a coworker’s desk during a particularly stressful time of year or send one to your college-aged kid to get them through exams. This is just one of the dozens upon dozens of ideas that’s easily under $15, making them perfect picks, any time of year. The noise around A Game of Thrones these days is pretty deafening. 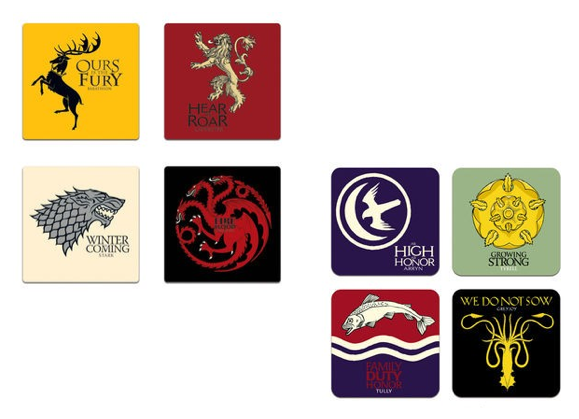 If you want to be a party hero, bring over a set of these coasters the next time a friend invites you over for a viewing party of the hit HBO series. The two sets above represent Seasons 1 and 2 (although S1 is currently out of stock), and with the brand’s signature stylish artwork, they’re a ‘Cool, where’d you get those?’ moment waiting to happen. These gift ideas are really just a small smattering of what’s in store at Fortress Geek. I strongly encourage you to peruse the site the next time you’re stuck for a gift idea – or you know now, so you’re never in that position. They’ve got an awesome, expansive range of items, and with great shipping rates and no duty charges, there’s simply no reason to shop south of the border for the best in geek gear. 1) Visit the Fortress Geek website and leave a comment below with a link to your favourite item on the site. You’ve got until May 2nd to share your pick! 2) Entries are limited to one per person / per email address / per household (or more if you score bonus entries). A random draw will be conducted on or around May 3rd, 2014 to select the winner(s), who will have 48 hours to respond before another winner is chosen in their place. 4) Bonus Entries: Fortress Geek is on both Twitter and Facebook. Follow ’em on Twitter, tag them & me (@cdngiftguide) in a Tweet with a link back to this post, and leave a link to your Tweet in a separate comment below to earn one bonus entry. Like them on Facebook, leave a comment on their wall about your favourite gift idea from their site, and leave a link to your Facebook comment in a separate comment below to earn another bonus entry. Bonus entry. I follow Fortress Geek on Twitter as @Alexandrina_M and tagged them in a tweet. I like the Made With Molecules Serotonin Necklace. I like the Doctor Who TARDIS Talking Cookie Jar – but I also lile the Princess Bride Tee! I love this Hello Kitty mug! What a great site! Finally an option for geeky Canadians. I just wished there was an option to browse all the items by theme. I know a geek who would love these chopsticks! SOS. Help. Pick me, pick me! Your next winner!!! Show me the money!!! It would be a dream come true & means more to me than anyone else to win. 😦 Starving artist here desperately needs the gift code to shop, to be a nerd, to have fun, feel alive & inspired again. A life changing experience. Top of my bucket list. Thanks for the awesomeness, the contest, & generosity. Dear Santa: I’ve been nice. My X-Mas wish this year is to win this contest! http://fortressgeek.com/made-with-molecules-serotonin-necklace.html is my favorite. entry for contest plx. 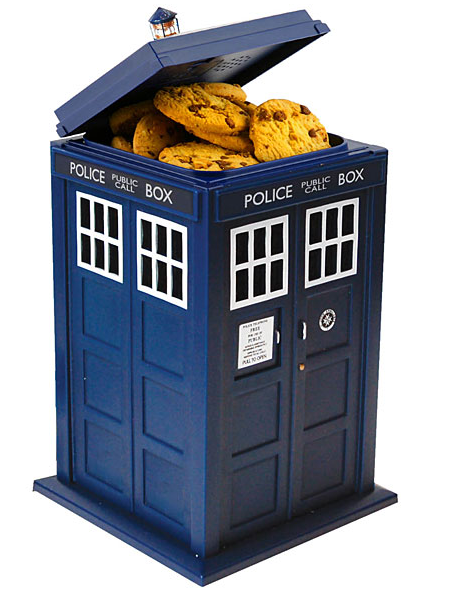 Will definately be doing some shopping at Fortress Geek..
http://fortressgeek.com/doctor-who-tardis-talking-cookie-jar.html I love this cookie jar! 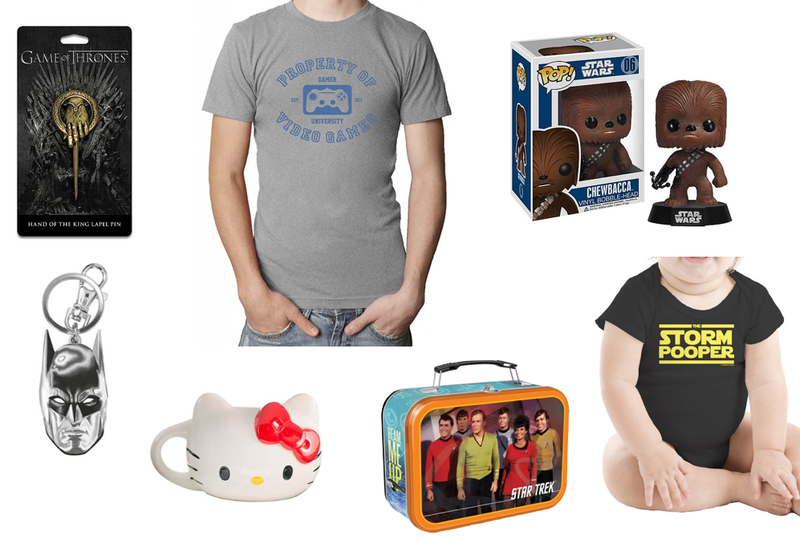 Great giveaway for @FortressGeek from @CdnGiftGuide – lots of great geeky gifts for your friends.